Wright Heerema Architects’ new design for the 123 N Wacker redevelopment re-defines the boundaries of office tenant amenities, bringing ideas from the hospitality industry into the workplace. Property owner Lasalle Investment Management enlisted WHA to design the bold new amenities and common areas at 123 N Wacker to cater to the needs of today’s office tenants seeking unique workplace experiences for their employees. 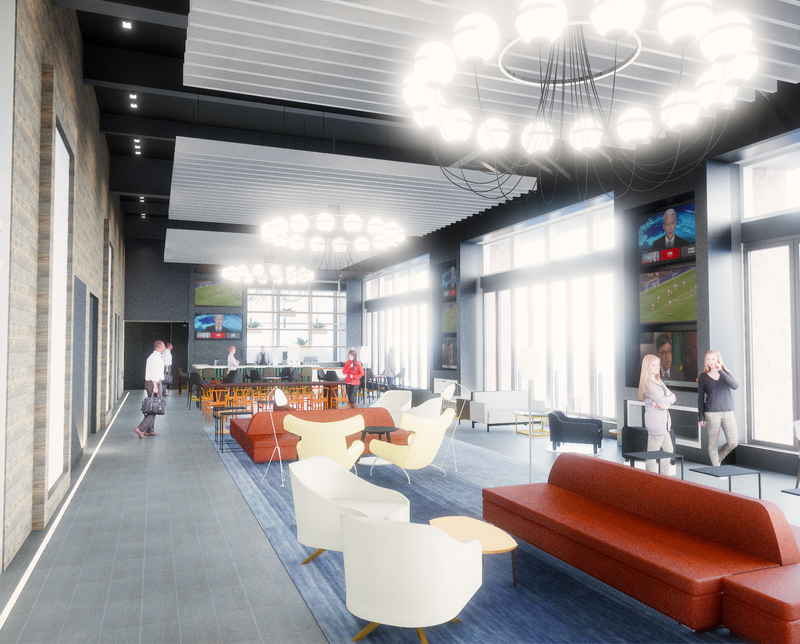 The renovation quickly attracted big name tenants such as the Chicago Bears, who signed a lease for 11,000 square feet of office space in the building. 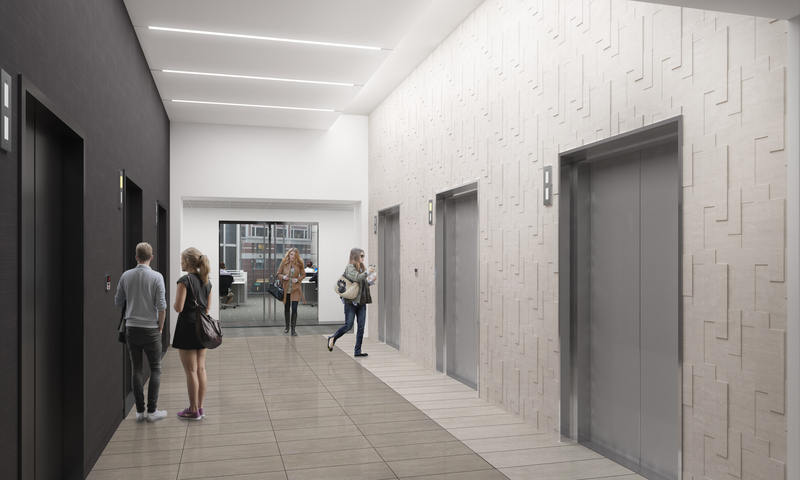 A four-seasons room on the east side of the 30th floor features operable NanaWalls that open from the floor up, allowing tenants to step right up to a glass railing on the perimeter of the building. A bar in the lounge offers a space for a barista to craft caffeinated beverages during the workday, and for tenants to reserve for private evening functions. 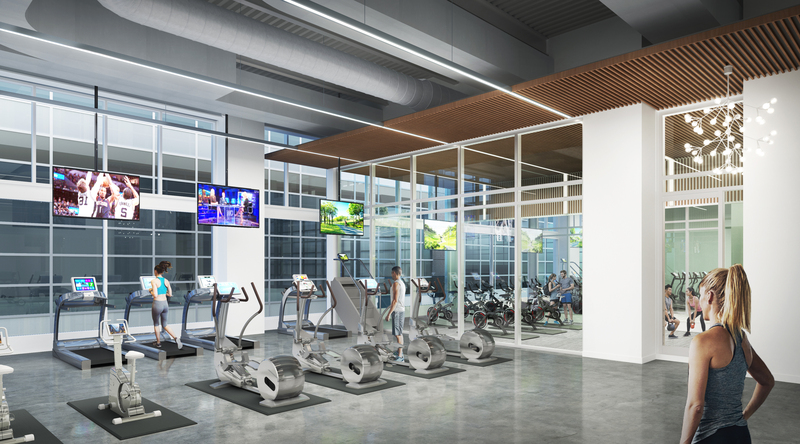 In addition to the lounge and adjacent conference center, the renovation includes a reimagined lobby, state-of-the-art fitness center, bike room and rooftop terrace.